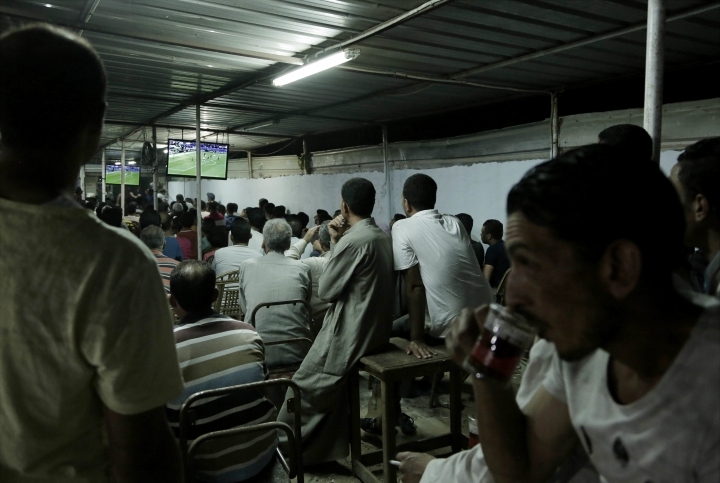 NAGRIG, Egypt — The cafe began to fill up more than two hours before kickoff. 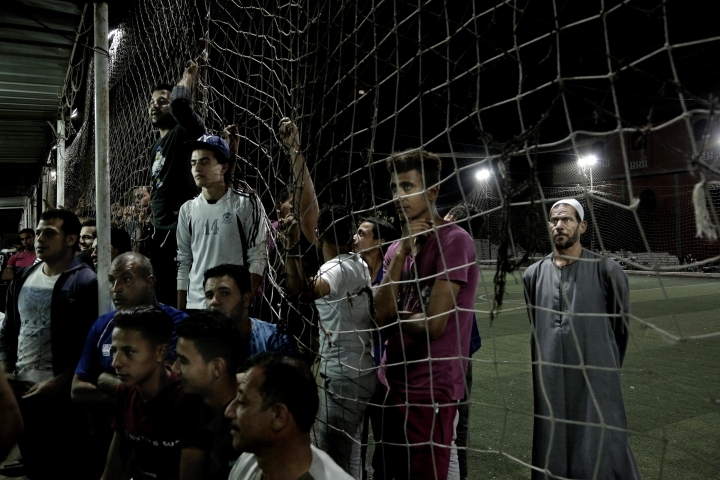 By the time the match began, some 200 men and boys — some as young as five — huddled around two large TV screens at a cafe Mohamed Salah frequents when he's back visiting his village deep in Egypt's Nile Delta. Salah didn't score, but almost everyone at the cafe let out a joyous scream and clapped enthusiastically at the final whistle: Liverpool, the English club for which Salah has scored more than 40 goals since he joined this season, has reached the final of the Champions League for the first time since 2007. On the night, Liverpool lost 4-2 to Roma, but advanced 7-6 on aggregate to set up a clash with Real Madrid in the May 26 final in Kiev. "We are victorious, we are victorious," screamed a boy at the end of a game that induced everyone in the cafe to carry a deeply anxious look as Roma kept on chipping away at Liverpool's first leg lead. "Come on Salah!" and "run, Salah!" they implored the 25-year-old every time he had the ball. 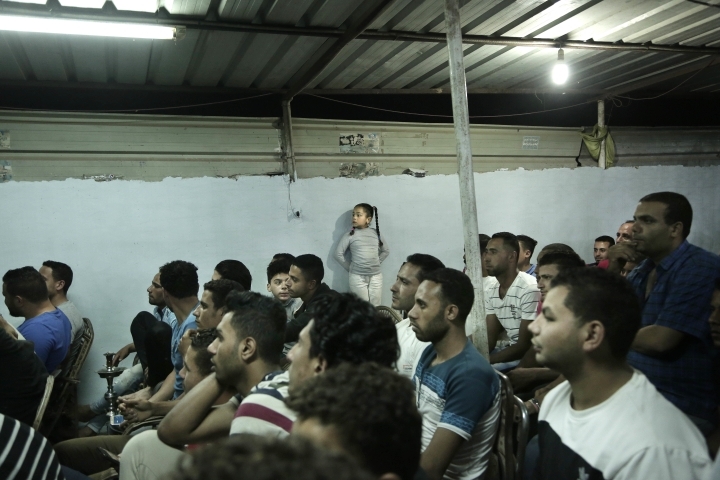 The scene at the cafe in Salah's village of Nagrig has been duplicated across this country of 100 million ever since the winger rose to global stardom after joining Liverpool from Roma last summer and almost single handedly led Egypt to qualify for this summer's World Cup in Russia, the country's first appearance in the tournament since 1990. 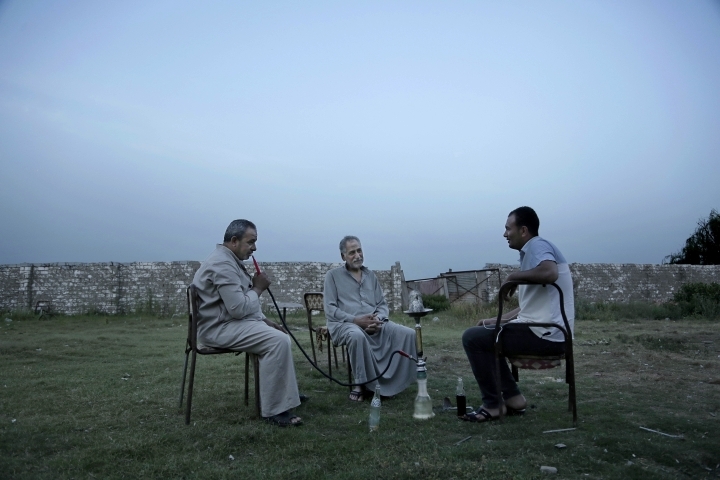 There is perhaps no place in Egypt that shows more passion for the English Premier League and the Champions League than Nagrig, a typical Nile delta village where water buffalos, cows and donkeys share dirt roads with cars, motorbikes and horse-drawn carts. 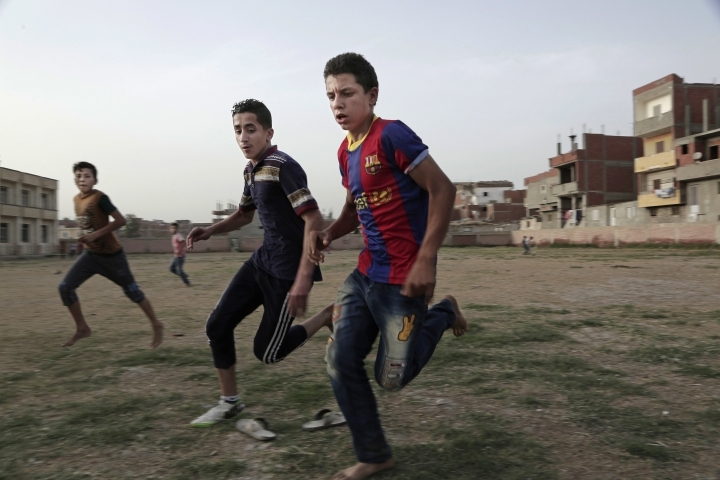 Many of the village's teenagers play barefooted and the pitch in the youth center where Salah is known to have played the game as a young boy is strewn with litter and accessible through a collapsed part of its outer wall. 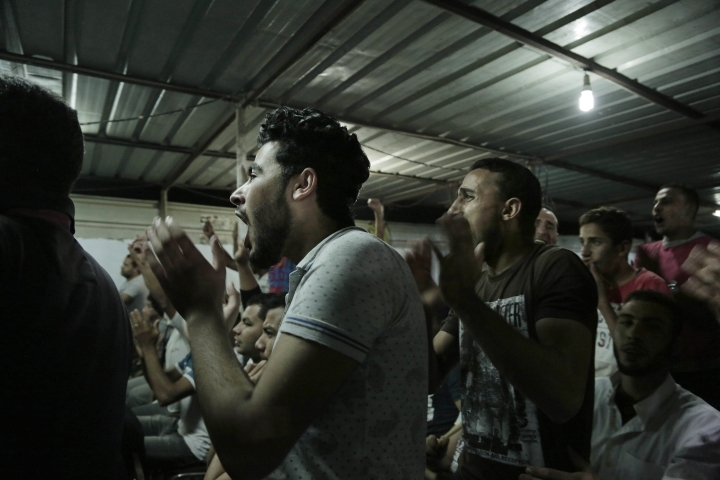 "Five or six years ago, only a few people in the village were interested in European football," said Shady Dawoud, a 30-year-old man from Nagrig and a distant Salah relative. Speaking as he watched the May 2 Roma-Liverpool match, he said: "Now, almost the entire village, old and young alike, know about Liverpool and Roma as well as the schedule for Salah's matches." "So much has changed here because of Salah, may God protect him." The adulation is on clear display. 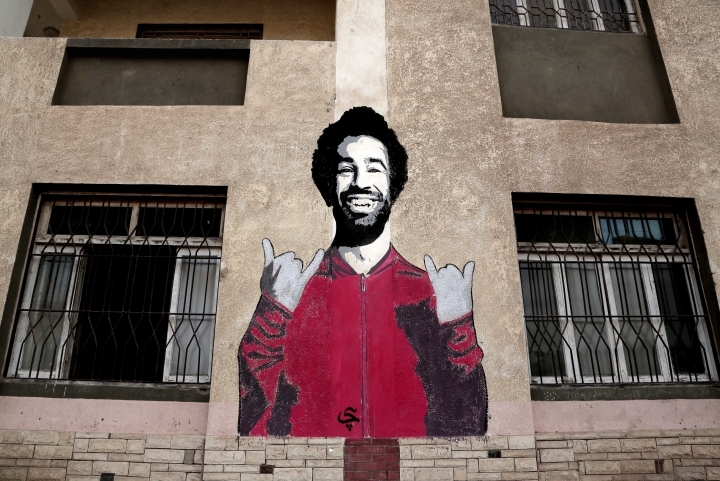 A large number of children and teenagers wear Salah jerseys, his image is on a wall mural at the village's sports and youth center and residents are deeply appreciative of their hero and protective of his name. 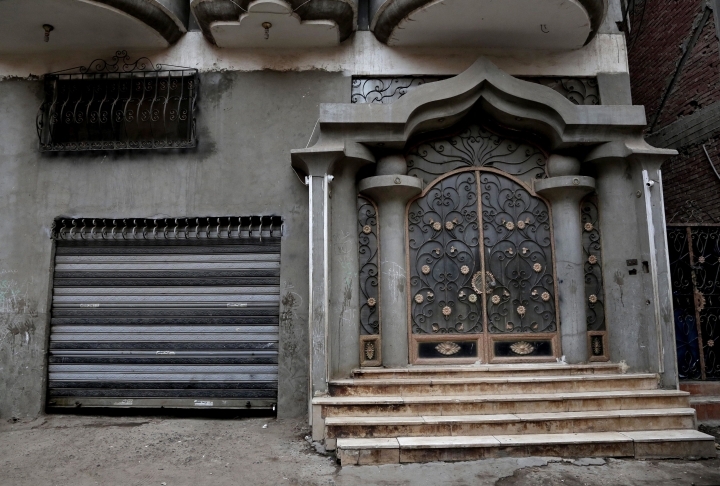 Salah, residents boast with pride, has poured millions of pounds into the village, with the beneficiaries' list including a school, a mosque, the youth center, a dialysis machine at a nearby hospital and financial aid to poor families. 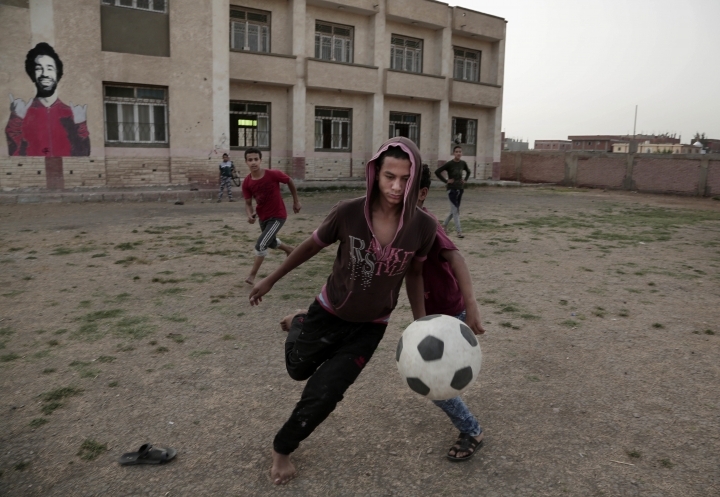 His success as a footballer in Europe's most attractive league has inspired many parents in Nagrig, as elsewhere in Egypt, to send their children to football academies in the hope that maybe one day they can emulate his success. "He has done so much for the village. Some things that people know about, and many things that people just don't know anything about," said Ibrahim Ramadan, who owns an eatery at Nagrig. "Honestly, his family has not changed one bit since Salah became a star. They are still humble." 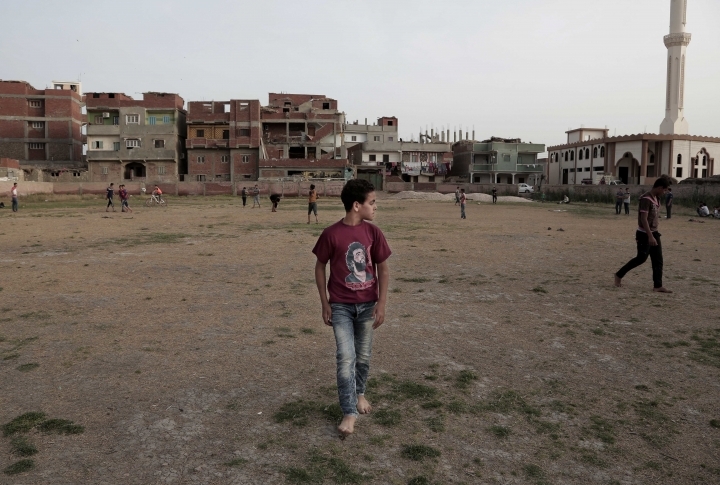 But Salah's impact in Egypt goes way beyond the money he has poured into his village or the 5 million Egyptian pounds (nearly $285,000) he donated to a development fund set up by Egypt's leader, Abdel-Fattah el-Sissi. This year, his image is on lanterns which are traditionally given to children or used as an ornament during the holy Muslim month of Ramadan, which has just begun. Traders have given his name to a kind of date, which many Muslims eat to break their dawn-to-dusk fast during Ramadan. His appearance in a short film supporting a government anti-drugs campaign has sent through the roof the number of calls addicts made to help lines. In downtown Cairo, a cafe with a giant wall mural of him has become a major attraction, and the definitive image of the adulation he enjoys. But more importantly, many Egyptians and commentators believe Salah — the second of three children born to a government employee — is giving his compatriots hope and joy at a time when the majority is struggling to make ends meet amid acute economic hardships caused by an ambitious economic reform program to revive the battered economy. "Salah is no longer just a talented and skilled football player. He is a symbol of efficiency, thoroughness, respect, learning, morals and moderate religion," wrote Imad Hussein, editor of the independent Al-Shorouk daily. "He presents a glowing picture of Egyptians, Arabs and Muslims. It's an image that most of us are incapable of offering." Anecdotally, many Egyptians believe that some of the 1.76 million spoilt ballots in presidential elections held in March were invalidated because voters scribbled Salah's name as their choice. The unusually large number of invalid ballots was more than twice the votes that went to el-Sissi's challenger, a little-known politician who supports the president, and are widely believed to have been spoilt as a form of protest against the government. El-Sissi won the election with 97 percent of the votes. Last month, Egyptians rallied behind Salah in a commercial dispute with Egypt's soccer association over the use of his image, declaring their support for the player on social media networks and seizing the chance to air criticism of the association and the government. "The goals he scores ease the burden of living under these tough economic conditions," said Maher Said, a 50-year-old security guard in Cairo. "Watching him play helps me get over tough days." Another Egyptian, 30-year-old engineer Shereef Suliman, said: "Salah has virtually become the only thing that gives people hope and pride that they are Egyptians." Associated Press writers Menna Zaki and Samy Magdy contributed to this report from Cairo.